See in under 2 minutes how IdentityForce protects your personal information anytime, everywhere. Identity theft protection for personal and business use. You can also learn more about our Free Business Trial here. 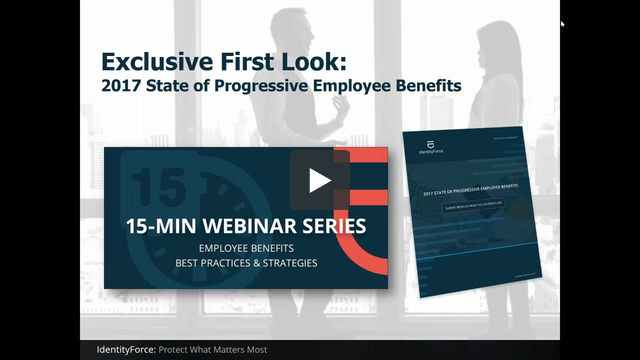 Please review the full report findings, 2017 State of Progressive Employee Benefits, here.